My name is Reuben Salimu, International Chess Coach and the schools chess instructor. The importance of chess to kids has not been fully appreciated, but I like it because chess is more than a board game. It teaches us to think analytically and to be more successful in life, no matter what our profession. We have chess at the school and its amazing when you get to experience what these kids are capable of and what they do with that limited exposure. The inert ability and talent plus skills they can get from this sport has not been exploited at all. The above applies in any area of competence. We have only 30 minutes a week with each group and this is by far not enough to do 1,2 and 3. Moreover, during that time we want to teach them and they want to play and it becomes a conflict. Our solution was to create an online platform which would enable kids to look, learn and practice easily in the comfort of their home. Its also available on android and IOS. • Kids can even play their friends from class or club! The service costs R200 for 3 months and we provide monthly reports and guides to keep you informed on how they are doing. 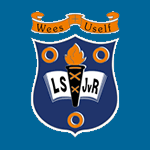 PreviousUitslae van Swemgala, 17 Okt.